Nicolas Ollivier joined LALIVE in 2012. He specializes in banking and finance. He regularly advises and represents clients in complex cases such as margin calls, improper execution of orders, mismanagement, fraudulent transfer orders, cross-border issues, bank bankruptcy, freezing of accounts as well as in relation to administrative and enforcement proceedings before the Swiss Financial Market Supervisory Authority (FINMA). He is a member of the Association Genevoise du Droit des Affaires, the Geneva Bar Association and of the Swiss Federation of Lawyers. Before joining LALIVE, Nicolas Ollivier worked as an associate with FBT Avocats SA, in Geneva, in the banking group (2011-2012). He previously trained with Boivin & Nussbaumer in Fribourg (2005-2007). 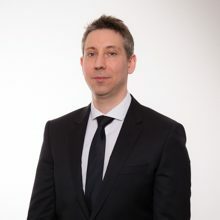 Nicolas Ollivier graduated from the University of Fribourg with a Master of Law, majoring European Law (2004) and holds an LL.M from the University of Durham (with Distinction) (2010). Banking in Switzerland and Liechtenstein, 2013, pp. 24-27. Geneva 11/12/2012 Nicolas Ollivier Speaker: Retrocessions: Where Do We Stand? For more information, see the programme and the presentations.